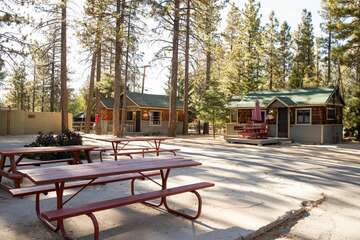 The Big Bear area has so much to offer for visitors that are interested in the many ways to explore and enjoy the outdoors in the strikingly scenic natural panorama of dense, lush swathes of pine trees in San Bernardino National Forest and stark peaks of Bear Mountain. Big Bear Lake is a major draw for locals and visitors alike, as it is an idyllic spot for swimming, fishing, and more. Learn more about the Big Bear Lake Water Sports, such as Big Bear Water Skiing and more, when you read on! Boating, fishing, and swimming are just a few of the typical activities that people enjoy on Big Bear Lake, but they are far from being the only excitement you can partake in! With dozens of charter services and marinas, you’d be hard-pressed not to find something else fun to do that will get your blood pumping! Paddle boarding, windsurfing, sailboarding, wakeboarding, canoeing, kayaking, Big Bear waterskiing, and Big Bear jet-skiing are all extremely popular on Big Bear Lake. You can even find gems like Pine Knot Parasailing and Action Flyboarding, which are two intense sports that allow you to explore Big Bear Lake by air! Flyboarding is a newer phenomenon that uses powerful streams of water to propel you upwards like a jetpack, but with attachments on your hands and feet like the superhero Iron Man! On the lake, there are a number of vendors that will provide lessons, equipment rentals, and charter services. We’ve already mentioned Action Flyboarding and Pine Knot Parasailing, but there are also Big Bear Watersports School, Big Bear Boating, Holloway’s Marina, Designated Wakesports, North Shore Landing, Big Bear Marina, Captain John’s Marina, and Pleasure Point Marina. When you visit Big Bear Lake, you can travel a few minutes in any direction and find what you need! 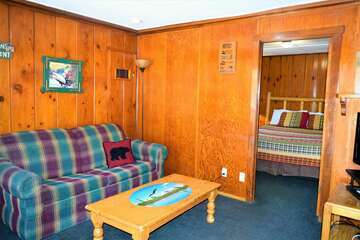 Big Bear Cabins Are Located Right on Big Bear Lake! 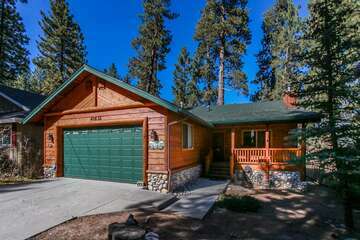 Some of our vacation rental homes and cabins are situated right on the lakeshore of Big Bear Lake, making them ideal for those vacations where you just want to hang out on the lake and have a great time! If you’re curious to learn more about what the Big Bear area has to offer, including Big Bear Water Sports, just ask our vacation planners for additional information when you check out our cabins and deals today! They are more than happy to tailor their advice based on your plans, using their local knowledge of the area!